Southeast Asian countries welcome a push by U.S. President Donald Trump and Japanese Prime Minister Shinzo Abe for “a free and open Indo-Pacific region” based on the rule of law, as long as the concept is not intended to alienate China, a major aid provider for developing Asia, according to a Philippine scholar. On the back of efforts to encourage more international business activity, the Philippines registered the highest rate of foreign direct investment (FDI) growth in the ASEAN region last year, with the country hoping to capitalise on the global attention generated by hosting the bloc’s most recent summit to enhance trade and investment flows. During President Trump’s trip to Beijing and the ASEAN Summit in November 2017, President Trump and President Xi confirmed that the future of U.S.-Chinese relations will focus largely on opportunities for U.S. and Chinese businesses, potential security cooperation, and ongoing points of friction. Cambodia, a country that has not been blessed with long periods of peace and political stability throughout its modern history, is rapidly sliding into authoritarian rule again. The International Labor Organization (ILO) is set to review next year the progress in the implementation of the newly signed consensus of the members of the Association of Southeast Asian Nations (ASEAN) to boost the protection of its migrant workers. 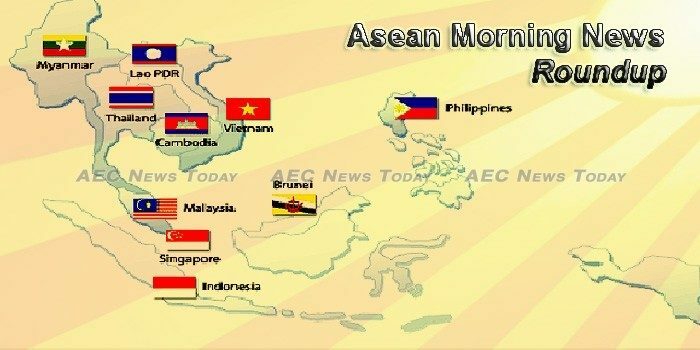 Printing industry players in the 10 member states of the Association of Southeast Asian Nations (ASEAN) will adopt a document to boost the sector in the region. The Reducing Marine Debris in ASEAN Region 2017 hosted by Thailand is being held at JW Marriott Phuket Resort & Spa today (November 22). Of great importance to women is the 31st ASEAN Summit’s adoption on Nov. 13, 2017 of the Action Agenda on Mainstreaming Women’s Economic Empowerment (WEE) in ASEAN. As he set aim in the men’s pistol championship, Third Warrant Officer Ross Li Jin Jie stayed focused and trusted in his training and abilities. Cambodia’s descent into the ranks of the world’s less savory countries appears all but complete with the dissolution of the main opposition party marked by a diplomatic twist toward Russia and the prospect of U.S. and European-imposed sanctions. The Royal Academy of Cambodia director and representatives of smaller parties have hailed the dissolution of the opposition Cambodia National Rescue Party (CNRP) by the Supreme Court a boon to democracy in the kingdom, The Phnom Penh Post Online reported on Wednesday (Nov 22). Cambodia’s economy is forecast to grow 6.9% next year, compared with a projected 6.8% pace in 2017, despite risks including uncertainties over next year’s election, the World Bank said on Wednesday. Jakarta. Indonesia’s plan to establish a holding company for state-owned miners could create a new giant with Rp 90 trillion ($6.6 billion) in assets, putting the miners in a better position to raise new funding to manage the country’s natural resource wealth. Millions of people running small-time oil palm plantations will suffer if the European Parliament goes ahead with “unfair” measures that could curb palm oil use, the world’s two largest palm oil producers said on Wednesday. Two aviation bodies said Malaysia could lose up to US$362 million (RM1,491 million) in revenue annually if it proceeds with its plan to impose a new charge on airline passengers. Bank Negara Malaysia (BNM) will designate persons converting crypto currencies into fiat money as reporting institutions under the Anti-Money Laundering, Anti-Terrorism Financing and Proceeds of Unlawful Activities Act 2001 beginning next year. The country’ mobile and fixed broadband services have become more affordable in recent years, according to the latest report released by the International Telecommunication Union (ITU). An estimated P11 million (US$217,251.87) worth of smuggled agricultural products were seized by the Bureau of Customs (BOC) in Cebu City last October. The Philippine military is in hot pursuit of the Islamic State (IS)-aligned Bangsamoro Islamic Freedom Fighters (BIFF) amid concerns the militant group aims to launch an urban siege akin to the recent devastating assault on the city of Marawi. The Ministry of Trade and Industry (MTI) on Thursday (Nov 23) said the Singapore economy is expected to grow by 3 to 3.5 per cent for 2017, an upward revision from its initial range of 2 to 3 per cent. Singapore has made “a good start” in its bid to become a debt restructuring hub in the region, with six workout cases filed before its courts after it adopted U.S. Chapter 11-like incentives in local company laws this year, a senior government official said. Internet service provider MyRepublic on Wednesday (Nov 22) announced it secured S$70 million in funds from Makara Capital, which it will use to “accelerate” plans to launch mobile services, including in Singapore, “next year”. Prime Minister Prayut Chan-o-cha has invoked his sweeping powers under Section 44 to amend the internal security legislation and set up a security “super board” to help the Internal Security Operations Command (Isoc) deal with domestic threats. Thailand’s Gulf Energy Development Pcl has raised $733 million after its initial public offering priced at the top end of expectations – marking the country’s biggest corporate IPO in more than ten years. The country is attractive to retailers, with a market of more than 93 million people, relatively young population and an estimated GDP of 220 billion USD. Viet Nam has set up a project to promote high-quality Vietnamese coffee backed by about VND170 billion (US$7.5 million). The race to build up stakes in Vinamilk, Vietnam’s largest listed company, is likely to see Hong Kong’s diversified group Jardine Matheson square off against Singapore-listed Fraser and Neave (F&N).